Yup, Hong Kong is expensive! You already knew that right? I mean, I already knew that. I’d heard it before. Hong Kong is one of the most expensive cities in Asia. Still, the thought of a 13 hour direct flight from Vancouver had us overlooking this minor detail. Flying a direct thirteen hours to Hong Kong seemed like a no brainer when compared to the 21 hour two flight trip to Bangkok. Add to that the fact that we got fairly good deals on our flights and this route would enable us to see the vibrant, bustling city of Hong Kong for a few days and we had a winner! Now that I am charged with the duty of finding affordable accommodation and filling up our days without breaking the bank I’m realizing that this is a near impossible task. 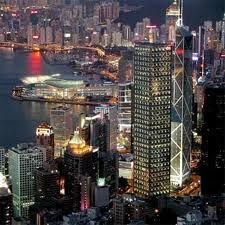 Once it is all said and done I am pretty sure that our five days in Hong Kong will cost us close to a month’s budget! My first sticker shock was searching for hotel rooms. Just a plain jane bottom of the line room at a familiar hotel chain started at $200 per night. Wowzers! This place is more expensive than Vancouver! Deciding that staying in a hotel was not going to be an option for us I started to look at the price of hostels. If you were a single traveler, I think this would be the way to go. For a family of four though most of the places seemed to hover around the $80 per night range. After many nights of research we ended up booking a private apartment for $105 per night. It looks like its pretty much a shoebox but we have our own bathroom, two double beds, and an Asian style kitchen in the heart of Kowloon. I’ll be sure to post pictures of our shoebox apartment once we arrive. Just as the accommodation in Hong Kong is ridiculously expensive, so too seem to be the activities. Visiting Ocean Park (an amusement park with a big emphasis on wildlife) is high on our to-do list. We couldn’t care less about the rides but Ocean Park has the one thing that Lan has been wanting to see since he was three years old…..PANDAS! Two giant pandas named An An and Jia Jia. So I guess $110 to fulfill the lifelong dream of a six year old is well worth the price. Another thing we really wanted to do was the Big Bus Hop On Hop Off Tour. We had done something similar in Vancouver and really loved being able to take in the city at a leisurely pace and see the sights from a open air bus. The price tag in Hong Kong? $120 for a family. Then there is Disneyland. I mean, can we really go to Hong Kong and not go to Hong Kong Disneyland? That’s $150. Five days in Hong Kong is going to add up fast! The good news is street food is good and cheap, the inexpensive public transport is supposed to be the best in the world, and the museums are free on Wednesdays. Guess what we will be doing on Wednesday? Do you have any tips on how to see Hong Kong without spending a truck full of cash? I’d love to hear them! When in Hong Kong we usually stay in a four bed dormitory in Kowloon, which needn’t be too expensive. We stayed at the famous Chungkin Mansions before, they are perfectly located, but we prefered the Sincere House on Argyle Street. There are a few hostels in there. I looked on Hostelworld and one that has 4 bed dorms is http://www.hostelworld.com/hosteldetails.php/A-Inn/Hong-Kong/36817?sc_sau=avdc&sc_pos=44. In order to keep the spendings down we would make our own breakfast and our own dinner and just eat out once. There are food stalls at the metro stations. We always carry bowls and spoons etc. and oats, so we just bought milk and salad stuff. For activities: the Kowloon park is really nice and on one day (I think Sunday) they even have a Kung Fu show there, which is free. We also went hiking, which was nice and just taking a ferry was a great adventure for our boys when they were younger. … or walking through one of the markets…. there is so much to see and the people are super friendly! You will be jetlagged and it will be “a lot” to take in for all of you, so make the most of those wonderful green parks and beaches (by the way, there are some not so expensive hotels on some of the beaches, i.e. there is an island which has no cars, no traffic and a small friendly hotel, perfect for children). We too stayed at Sincere House, but at the Ah Shan Hostel (also booked via Hostelworld, but on a recommendation from another traveler). We had our private 2-person room (the kids slept on the floor on camp mats we brought), our own bathroom, and even a LCD Tv and wi-fi @ HK190 pp ($48 USD per night). Great location, clean room. We also carried our own corn flakes for breakfast and just popped into 7-11 across the street each morning for milk. As you said, LOTS of hostels sub-letted in this building. And there’s a wonderful playground in the Kowloon City Park too, and strolling through the many markets are fun, and free, especialy the Goldfish Market, Flower Market, and Bird Market. And be sure to pick up Octapus Cards for your time there–you use it for all the public transport, but also as payment for most other things like at 7-11, tours, excursions, etc. you get your deposit back on the card when you turn it in (there’s a desk at the airport) when you’re finished with it. makes life much easier, but you can lose track of how much you are spending on things as it’s essentially a debit card. I have no tips for Hong Kong but I’m highly amused that the Hop On Hop Off Bus is nearly the same price as a day at Disneyland!!! In 7 months we’ve only caught this bus in Kuala Lumpur. The rest have all just been too expensive for 4 or 5 of us to ride!! Yes, HK IS expensive! But if it’s the giant Pandas that you’re after, they are also at the Chiang Mai Zoo, for cheaper too. And there’s another Hop On/Hop Off Bus called the Rickshaw Bus, which is much cheaper, although it covers an entirely different itinerary but also it takes less time. Hongkong is expensive. We told our kids, it will be EITHER Ocean Park OR Disneyland. The Disneyland is not worth it, better go to another one somewhere else. 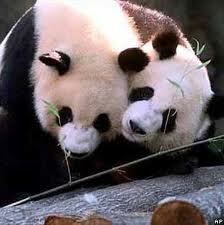 The pandas can also be watched in Chengdu, China, and many of them. Maybe you go there? I wish you a wonderful trip, enjoy, enjoy, enjoy. If you stay in Asia on your trip you won’t spend much money. Hongkong really is the worst money-wise.